UNPO: Tibet: Award Winning Writer Pema Rinchen Arrested and Beaten. Tibet: Award Winning Writer Pema Rinchen Arrested and Beaten. Government Crackdown on Tibetan Writers Continues with Pema Rinchen the Latest Victim. A month after jailed Tibetan writer Tashi Rabten (pen-name Theurang) was sentenced to a 4-year prison term, another young Tibetan writer was severely beaten and arrested for allegedly ‘inciting ethnic hatred’. 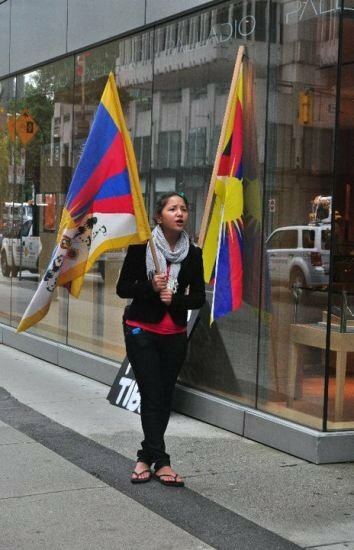 Award winning writer, Woeser on her blog reported the arrest of Pema Rinchen (pen-name Poison Thorn), a 25-year old Tibetan writer from Drango County in Kardze, eastern Tibet on July 5. “On the afternoon of July 5, Pema Rinchen was taken away by Drango County PSB officers. He was severely beaten. The next day (July 6) he was taken to Drango County hospital for emergency treatment”, writes Woeser. The hospital of Pema Rinchen’s detention was reportedly placed under heavy surveillance and his family members were barred from entering the hospital. Woeser writes that it is not known whether Pema Rinchen is currently ‘dead or alive’. Pema Rinchen had gained literary popularity with his book ‘Look’, an honest account of ‘Chinese government’s policies and practices in Tibetan areas, and of their suppression of Tibetans protesting across all of Tibet in 2008, and of their actions during the Yushu earthquake’. The book also carried interviews and first-hand accounts of Tibetans who were tortured during the 2008 protests. Two thousand copies of “Look” were published and Pema Rinchen travelled all over Tibet personally distributing his books. In one of the verses titled ‘We, Who are ruled by others’ translated by High Peaks Pure Earth, Pema Rinchen expresses his anguish at the official slogans of freedom and happiness in Tibet. “It is time to change the fate of the Tibetans, Don’t enchant us with sweet words without practice, Melodious sounds of freedom and democracy are empty words”, Pema writes in his book. Since its crackdown on Tibetan literary figures, China had come under heavy international criticism for its extra-judicial detention, disappearances, and harsh sentencing of journalists and writers in Tibet. The Committee to Protect Journalists in a release on June 6 while condemning Tashi Rabten’s ‘extralegal detention and unannounced trial’ said that such cases were ‘reminders of the treatment Tibetan journalists face in China's legal system’.